Properly named the Devils Backbone is the best 140 mile ride I will probably ever have. 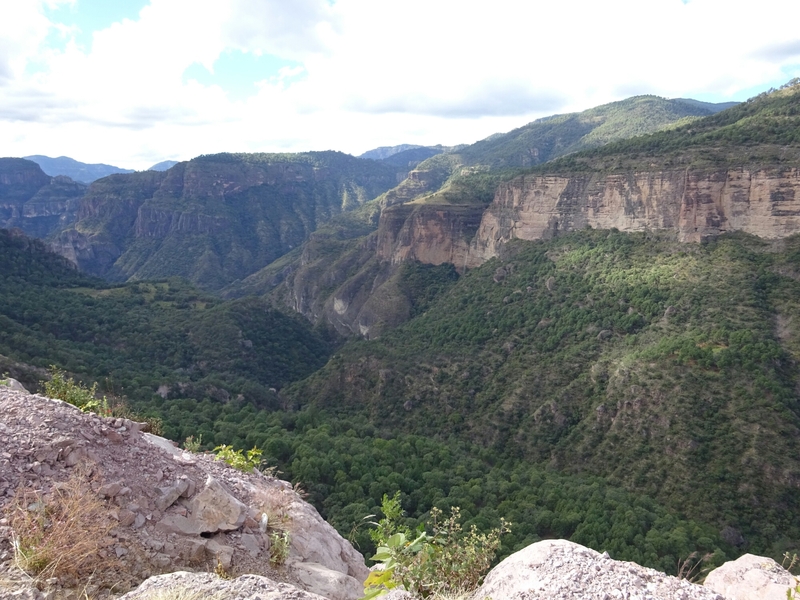 The route runs in between Durango and Mazatlan over and through the Seirra Madre. 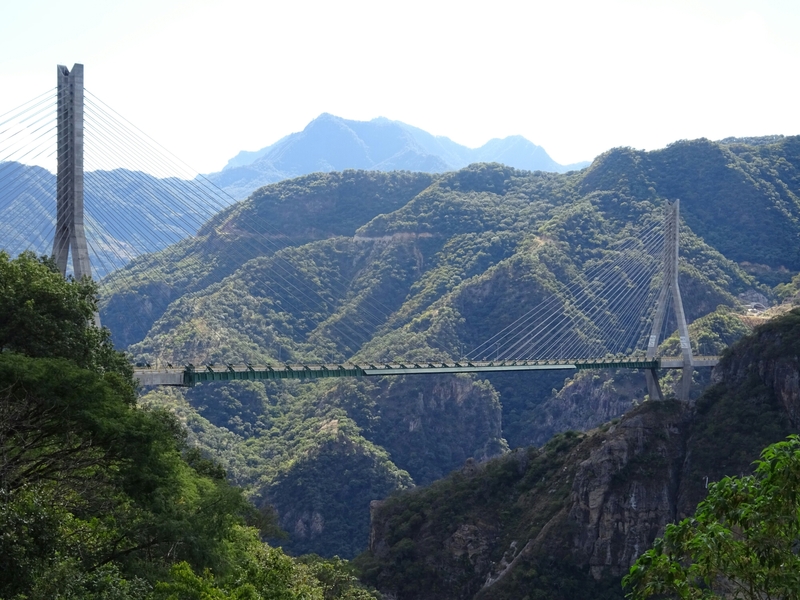 The Baluarte bridge is the highest cable stayed bridge in the world (1322 feet) above the valley below. The bridge opened late 2013. 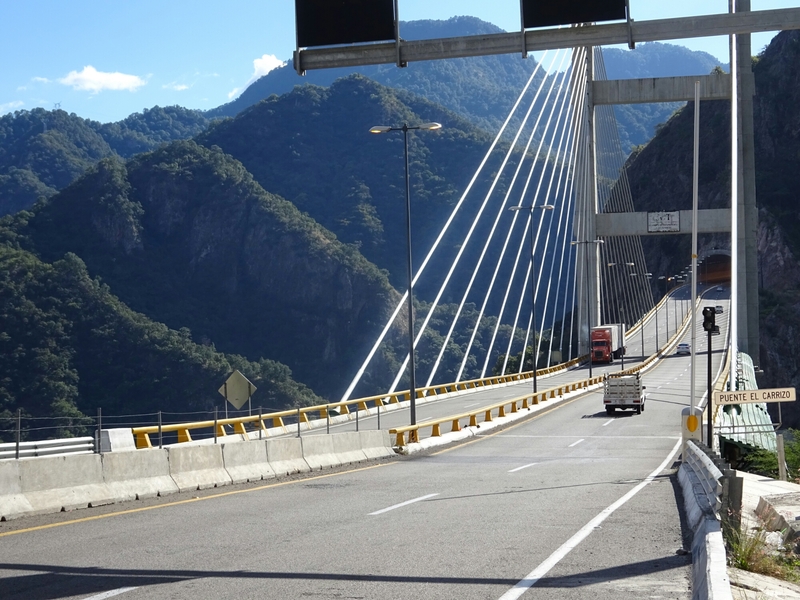 The route also boasts 114 other bridges and 61 tunnels. Views were epic, but there are very few places to pull off and take photos. Spectacular and you must be experiencing total sensory overload in the best way! The smells, sounds, sights. Amazing! Thanks, for sharing!